It has a magical effect on motorcyclists even now, around a quarter of a century after the marque’s heyday. 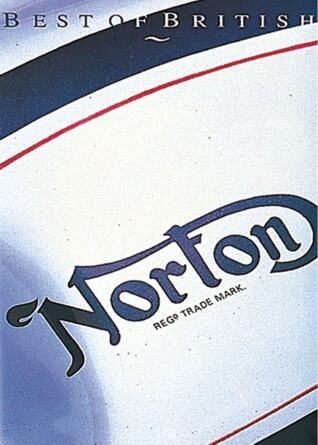 This DVD tells the whole Norton story. At the Sammy Miller Motorcycle Museum we examine the oldest Norton of them all, a 1905 model with a Peugeot engine. And Sammy describes two of the rarest racers in existence-the horizontal-engined Model F and the revolutionary ‘kneeler’ streamliner. At the National Motorcycle Museum we look at every significant Norton over the past ninety years-from the 1907 winner of the TT twin-cylinder clsss right up to the unique rotary-engined racer that won Norton’s last TT in 1992. Plus we talk to famous Norton Racers- the legendary Geoff Duke and the winner of that 1992 TT, Steve Hislop, along with engineers, designers and executives who played key roles in the Norton story.